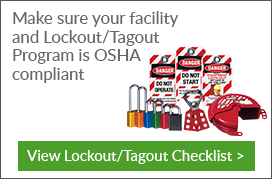 The success of lockout/tagout (LOTO) practices depends on the proper use of safety devices, among which are lockout kits. 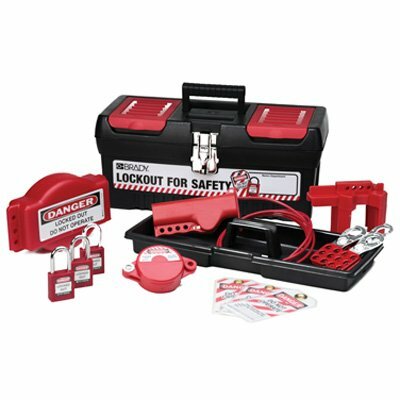 By keeping lockout tools secure and handy, these kits fill an important role in the overall safety of employees. Employers should thus make sure that their facility is adequately supplied with these devices. To meet this need, Seton offers a wide range of lockout kit variants. Customers can choose among different electrical lockout kits, modular lock boxes, breaker lock boxes, and many others. With the proper use of these safety kits, an effective LOTO process can be implemented both easily and effectively. According to the Occupational Safety & Health Administration (OSHA), failing to control hazardous energy results in nearly 10 percent of the serious workplace accidents in various industries throughout the country. And unfortunately, a lax attitude toward LOTO procedures are far too common. The view that lockout/tagout needlessly makes work more difficult, or is too complicated for maintenance tasks, is not unheard-of from both workers and managers alike. Such an attitude should not be the norm. If safety regulations call for tags and lockout kits, then these should be used accordingly. When it comes to safeguarding workers from hazardous energy, neither experience nor expediency should be a license to negate following safety procedures.